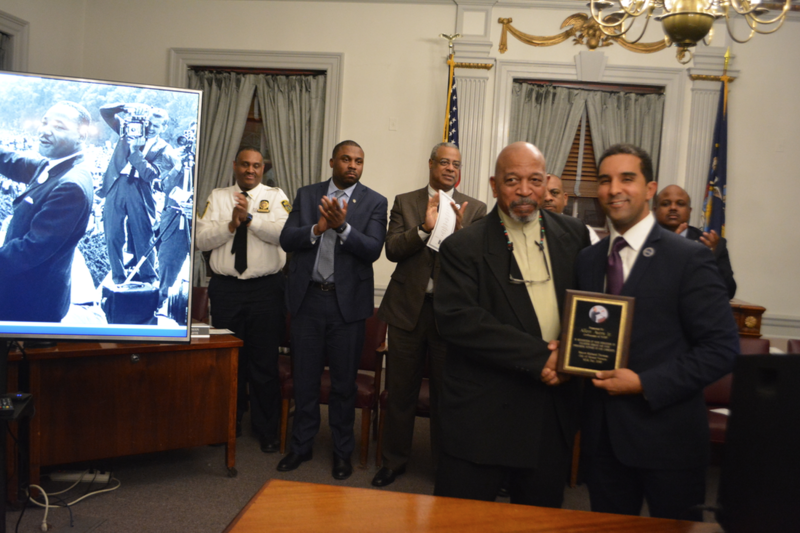 On Thursday, January 11, Mayor Richard Thomas held a commemorative Day of Service ceremony for Dr. Martin Luther King, Jr., ahead of the federal holiday in honor of the groundbreaking civil rights pioneer. 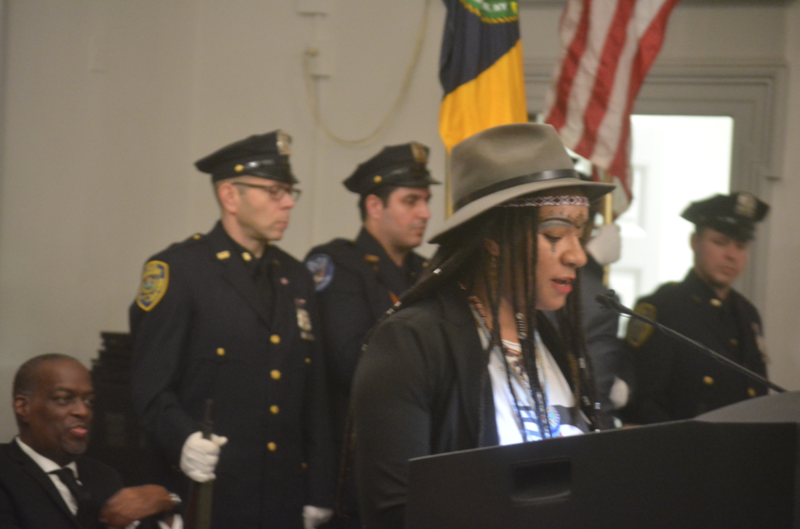 The event was attended by a capacity crowd and was held in the City Hall Council Chambers. The Mistress of Ceremonies was the mayor’s sister, Jacine Thomas, who works for the Recreation Department and has become very proficient at organizing city events. After the invocation by Pastor Jeffrey R. Wheeler (Mt. Calvary CME Church), the African-American National Anthem was sung. 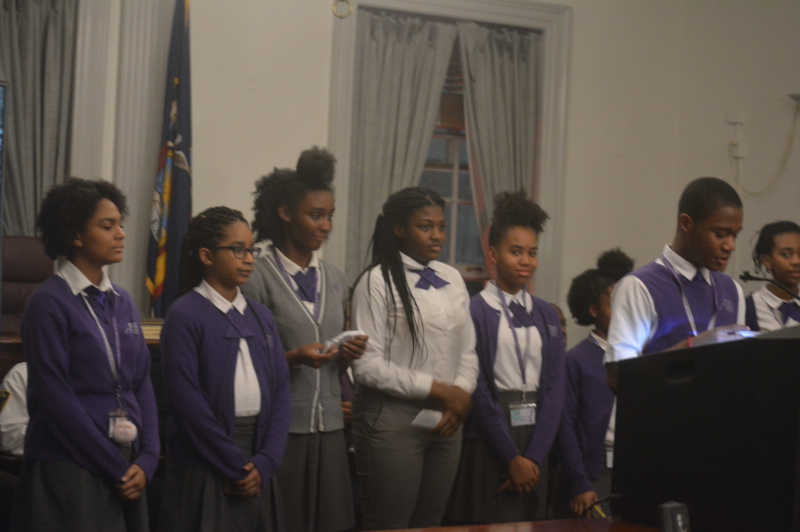 The audience started clapping loudly as a large group of Amani Public Charter School students positioned themselves near the podium. One by one they started to recite words from King’s speeches and upon completion they received a standing ovation. 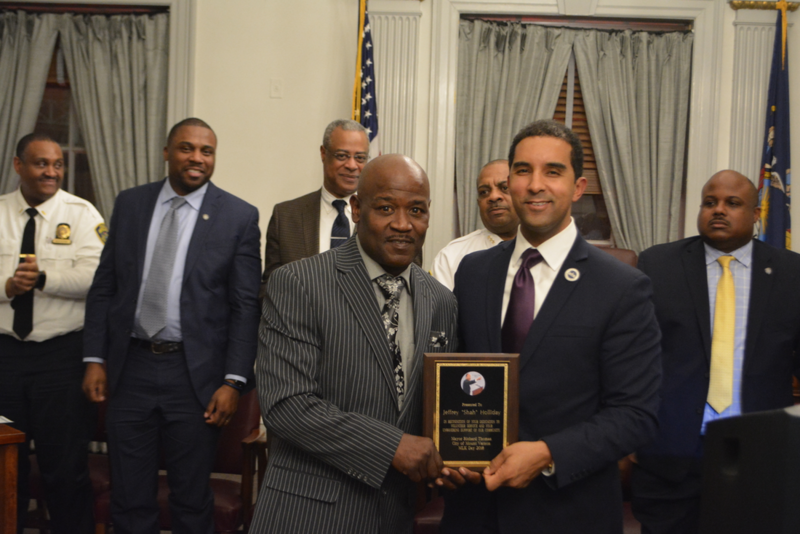 When introduced by his sister, Mayor Thomas received a thunderous ovation. He spoke mostly of King’s legacy and also stated: "Perhaps the greatest civil rights challenge we face today is ensuring that all our children get the education they need to succeed in today's world. The right to a quality education is just as much a God-given and American right as the right to vote. And we are making an historic effort in this city to provide and protect that right. 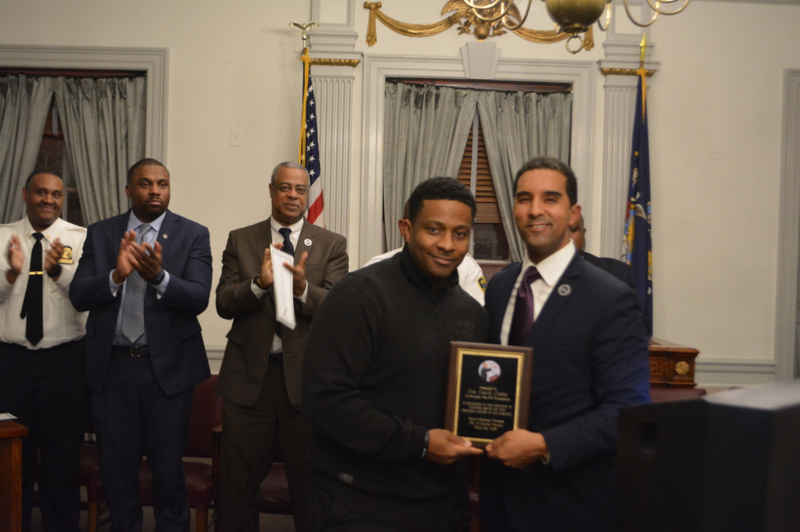 After his speech, the mayor, accompanied by Legislator Lyndon Williams, presented awards to four individuals whose contributions to the Mount Vernon community demonstrate extraordinary quality, including efforts to promote diversity, fairness, and equality. 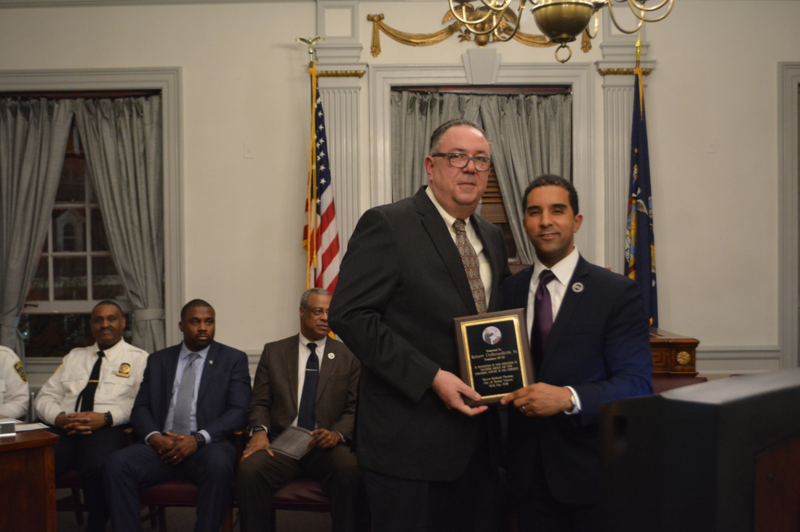 The four that were honored included Allen Ayers, Sr., YCOP founder, Detective David Clarke, co-founder of the PDC Foundation, Robert DeBenedictis, Sr., President of MV4U and Jeffrey “Shah” Holliday, aka Mr. Mount Vernon. Prior to the conclusion of the ceremony, the Faith Christian Assembly performed a moving musical selection. Rev. Gwen Wilson provided the benediction. The service was intended to act as a great opportunity for Mount Vernon citizens to learn the true meaning of the King Holiday and honor his memory.